Opioids are a class of analgesic drugs used to treat and manage pain. Generally prescribed to patients with severe physical trauma, opioids suppress the nervous system to reduce feelings of pain. Despite their efficacy, however, opioids are highly addictive, and they have been linked to a number of serious, potentially life-threatening complications. The attorneys at Bell & Pollock have extensive experience representing people who have been harmed by opioid drugs. Backed by more than three decades of legal experience, we have the skills and insight you can count on for aggressive advocacy when it is time to hold opioid drug makers liable for the harm their drugs have caused you. Initial consultations are free, and there is NO fee for our services unless compensation is secured for your claim. We are ready to discuss your options, answer your questions and help you get on the road to recovery and justice. All opioid medications fall into one of two categories: immediate release (IR) drugs and extended-release (ER) medications. Of the two types, IR opioids are most commonly prescribed. Common, relatively minor side effects associated with these and other opioid drugs can include dizziness, constipation, nausea and/or vomiting. Addiction – Patients taking opioid drugs can develop a physical dependency on them (meaning that they experience debilitating withdrawal symptoms when they stop taking these drugs). According to the Centers for Disease Control & Prevention (CDC), about 25 percent of patients on long-term opioid therapy develop an addiction to these drugs. Respiratory depression – Opioid medications can slow down breathing, especially in patients with sleep apnea (a condition marked by shallow or paused breathing while sleeping). This respiratory depression can result in extreme sedation, confusion, anxiety and, in the most serious cases, loss of consciousness. Heart complications – The impacts that opioid drugs can have on breathing can trigger cardiovascular complications, like arrhythmia (irregular heartbeat) and other heart problems. Patients with diabetes and/or a history of heart attack are among those with the highest risk of developing these heart-related complications. Overdose and death – Every day in the U.S., 91 people die as a result of an opioid overdose, according to the CDC. At least half of these overdose deaths are caused by prescription opioids. Pushing these medications on the public – The CDC reports that, since 1999, prescriptions for opioid drugs in the U.S. have quadrupled. Recent investigations have even reported finding that some pharmaceutical companies were bribing practitioners to prescribe these drugs when they may not have been necessary. 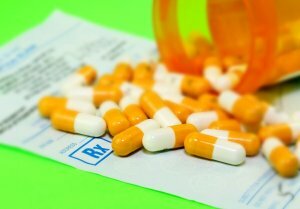 Failing to provide warnings about the severe, possibly deadly risks associated with these drugs – Some opioid drug makers have been investigated and penalized for illegally marketing these drugs, misrepresenting their safety and failing to warn the public about the serious risks associated with opioid use. Expanding access to opioid addiction treatments. Despite the important steps the FDA is taking to address the U.S. opioid crisis, many people and families have already been seriously harmed by these drugs – and many others continue to face serious risks, as the opioid epidemic continues to rage on. Seeking compensation for medical bills, lost earnings, pain and suffering. Though this compensation will never change the lasting losses caused by opioid complications, it can help injured people and families get treatment, heal and reclaim their lives. A lawyer at Bell & Pollock, P.C. is ready to explain your rights and legal options for pursuing an opioid drug injury claim. Contact an Experienced Drug Injury Attorney at Bell & Pollock, P.C. If you or someone you love has been hurt by any type of prescription opioid drug, you can turn to a drug injury attorney at Bell & Pollock, P.C. for experienced advocacy and effective help seeking compensation and justice. Call (720) 580-4294 or email our firm for a free, no obligations consultation with one of our lawyers. During this meeting, you will receive clear answers, as well as honest legal advice, regarding your potential claim and your best options for moving forward. At Bell & Pollock, our lawyers are proud to be champions of the people, providing victims of negligence with superior representation while helping them maximize their financial recovery. Since 1984, our seasoned attorneys have been standing up to insurance companies, drug companies and other formidable opponents, aggressively advocating our clients’ rights and working relentlessly to help them achieve the best possible resolutions. From offices conveniently located in Denver, Greenwood Village, and Steamboat Springs, our lawyers represent clients from across the U.S. in opioid drug injury claims and other dangerous drug cases.